Actual lease price determined by your Porsche dealer, your payments may vary. Close-end lease offered to qualified lessees on approved credit by Porsche Financial Services, Inc. through participating dealers through 4/30/2019. 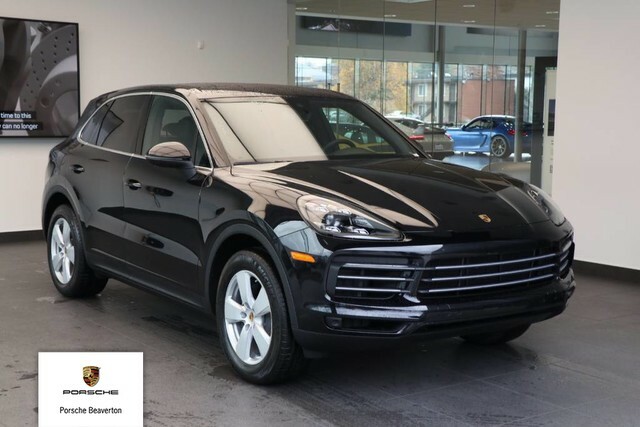 Estimated payments based upon MSRP of $60,290 for a 2018 Macan VIN # WP1AA2A54JLB21409 Stock # C62786. Price excludes title, license, taxes, registration and insurance. Lease payments of $ 659 for 35 months = $23,065 based on capitalized cost of $56,000. Total due at lease signing $ 5,594 (includes first month payment, acquisition fee of $995 and cap cost reduction of $ 3,824.98). No security deposit required. At lease end, lessee pays excess wear, $.30/mile over 30,000 miles and $350 termination fee. Purchase option at lease end $ 36,766.90 plus any applicable taxes. Specific vehicle and options are subject to availability and selling price may vary. For details and terms of contract please visit Porsche Beaverton. Actual lease price determined by your Porsche dealer, your payments may vary. Close-end lease offered to qualified lessees on approved credit by Porsche Financial Services, Inc. through participating dealers through 4/30/2019. 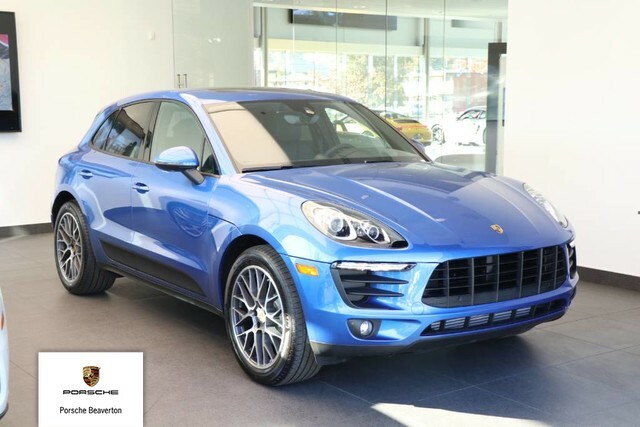 Estimated payments based upon MSRP of $66,040 for a 2018 Macan Sport Edition VIN WP1AA2A59JLB19395 Stock # C60492. Price excludes title, license, taxes, registration and insurance. Lease payments of $ 699 for 38 months = $26,562 based on capitalized cost of $61,250. Total due at lease signing $5,910 (includes first month payment, acquisition fee of $995 and cap cost reduction of $ 4,190.29). No security deposit required. At lease end, lessee pays excess wear, $.30/mile over 24,375 miles and $350 termination fee. Purchase option at lease end $39,600 plus any applicable taxes. Specific vehicle and options are subject to availability and selling price may vary. For details and terms of contract please visit Porsche Beaverton. Actual lease price determined by your Porsche dealer, your payments may vary. Close-end lease offered to qualified lessees on approved credit by Porsche Financial Services, Inc. through participating dealers through 4/30/2019. 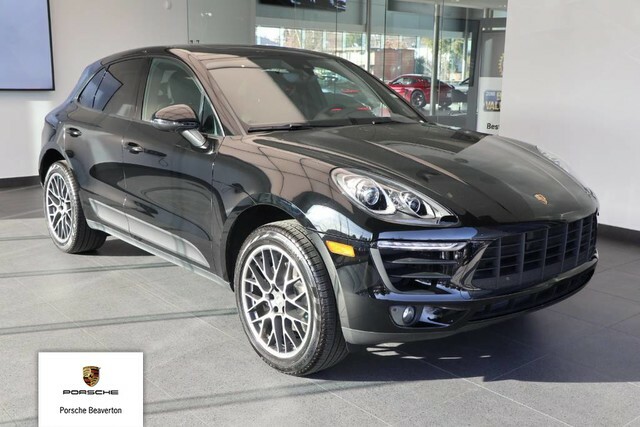 Estimated payments based upon MSRP of $79,340 for a 2019 Cayenne VIN WP1AA2AY4KDA02555 Stock # C48632. Price excludes title, license, taxes, registration and insurance. Lease payments of $939 for 35 months = $32,865 based on capitalized cost of $76,500. Total due at lease signing $9,916 (includes first month payment, acquisition fee of $995 and cap cost reduction of $7,956.51). No security deposit required. At lease end, lessee pays excess wear, $.30/mile over 30,000 miles and $350 termination fee. Purchase option at lease end $48,397.40 plus any applicable taxes. Specific vehicle and options are subject to availability and selling price may vary. For details and terms of contract please visit Porsche Beaverton. Actual lease price determined by your Porsche dealer, your payments may vary. Close-end lease offered to qualified lessees on approved credit by Porsche Financial Services, Inc. through participating dealers through 4/30/19. 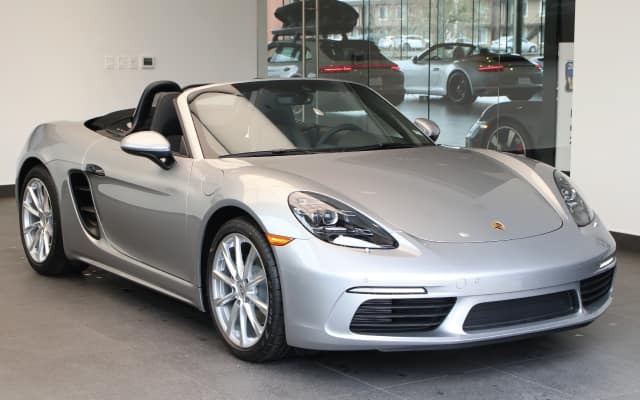 Estimated payments based upon MSRP of $78,350 for a 2019 718 Boxster VIN # WP0CA2A86KS210538 Stock #C81888. Price excludes title, license, taxes, registration, insurance and maintenance. Lease payments of $825 for 23 months = $18,975 based on capitalized cost of $73,350. Total due at lease signing $7,537 (includes first month payment, acquisition fee of $995 and cap cost reduction of $5,716.09). No security deposit required. At lease end, lessee pays excess wear, $.30/mile over 10,000 miles and $350 termination fee. Purchase option at lease end $51,405 plus any applicable taxes. Specific vehicle and options are subject to availability and selling price may vary. For details and terms of contract please visit Porsche Beaverton. Actual lease price determined by your Porsche dealer, your payments may vary. Close-end lease offered to qualified lessees on approved credit by Porsche Financial Services, Inc. through participating dealers through 4/30/2019. 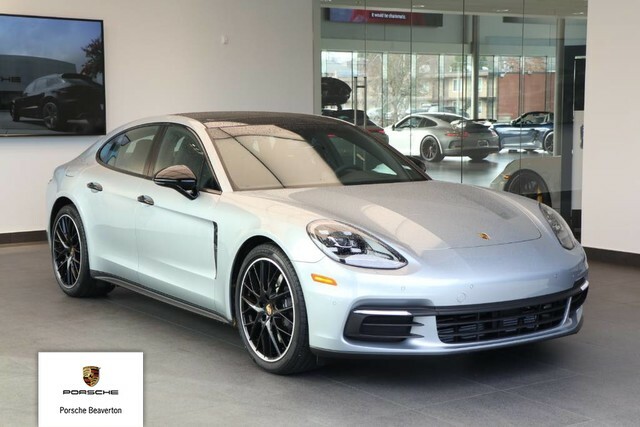 Estimated payments based upon MSRP of $108,140 for a 2018 Panamera 4 VIN WP0AA2A7XJL121191 Stock # C74460. Price excludes title, license, taxes, registration and insurance. Lease payments of $ 999 for 38 months = $37,962 based on capitalized cost of $ 98,500. Total due at lease signing $13,452 (includes first month payment, acquisition fee of $995 and cap cost reduction of $ 11,457.59). No security deposit required. At lease end, lessee pays excess wear, $.30/mile over 24,375 miles and $350 termination fee. Purchase option at lease end $59,080 plus any applicable taxes. Specific vehicle and options are subject to availability and selling price may vary. For details and terms of contract please visit Porsche Beaverton. Actual lease price determined by your Porsche dealer, your payments may vary. Close-end lease offered to qualified lessees on approved credit by Porsche Financial Services, Inc. through participating dealers through 4/30/19. 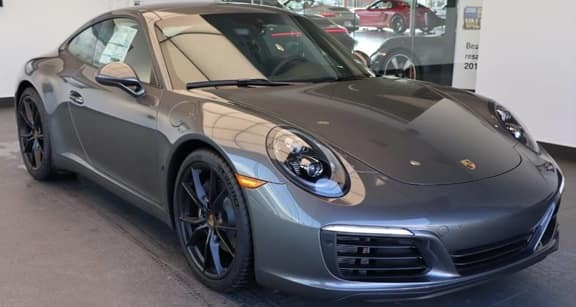 Estimated payments based upon MSRP of $116,630 for a 2019 911 Carrera VIN # WP0AA2A99KS103869 Stock #C91938. Price excludes title, license, taxes, registration, insurance and maintenance. Lease payments of $1,550 for 23 months = $35,650 based on capitalized cost of $112,400. Total due at lease signing $10,747.29 (includes first month payment, acquisition fee of $995 and cap cost reduction of $8,202.29). No security deposit required. At lease end, lessee pays excess wear, $.30/mile over 10,000 miles and $350 termination fee. Purchase option at lease end $79,804 plus any applicable taxes. Specific vehicle and options are subject to availability and selling price may vary. For details and terms of contract please visit Porsche Beaverton.